FLSA Archives - Overtime Law - Learn Your Rights Now! I am writing this post to give an example of the type of allegations made in an oil field overtime lawsuit. Here is language from a lawsuit regarding top-drive technicians in an oil field overtime lawsuit. 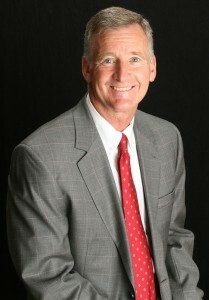 Defendant has approximately 330 marketable land-based drilling rigs that operate primarily in oil and natural gas producing regions of Texas, New Mexico, Oklahoma, Arkansas, Louisiana, Mississippi, Colorado, Utah, Wyoming, Montana, North Dakota, Pennsylvania, West Virginia, Ohio and Western Canada. Plaintiff worked for Defendant at its Springtown, Texas location as a top drive maintenance technician from approximately July, 2011 to November 2, 2012. 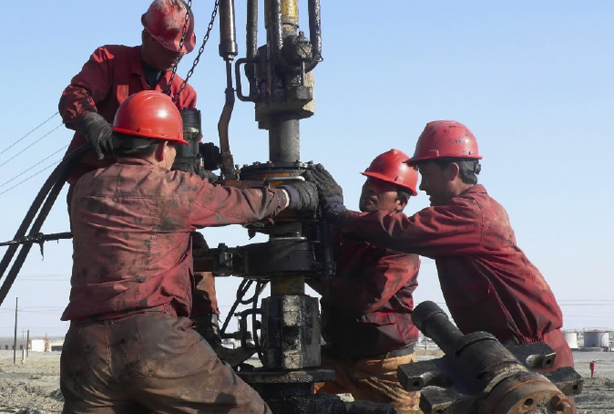 During the time period, Plaintiff’s’ job responsibilities consisted of addressing, as directed by Defendant, the maintenance of the top drive motors on the drilling rigs at Defendant’s work locations and drilling rigs in or near Springtown, Texas. Plaintiff’s primary job duties consisted of manual labor tasks in the form of repair, maintenance and other non-office, manual labor work. Plaintiff was also responsible for various other non-discretionary tasks. These other non-discretionary tasks Plaintiff performs are routine and do not require the exercise of independent judgment or discretion. At all times during his employment, Plaintiff was treated as an exempt employee for purposes of the FLSA, was paid a salary for his work, and was not paid time and one-half his regular rate of pay for hours worked in excess of 40 hours in a work week. Defendant knowingly, willfully, or with reckless disregard carried out its illegal pattern or practice of failing to pay overtime compensation with respect to Plaintiff. The FLSA requires employers to keep accurate time records of hours worked by nonexempt employees. 29 U.S.C. § 211 (c). In addition to the pay violations of the FLSA identified above, Defendant also failed to keep proper time records as required by the FLSA. Plaintiff has retained the Law Office of Chris R. Miltenberger, PLLC to represent him in this litigation and has agreed to pay a reasonable fee of its services. This is the type language included in oil field overtime lawsuit. Overtime for salaried workers may now be required. Today, in a historic move, the U.S. Labor Department issued updated overtime rules that will change life an estimated 12.5 million salaried workers who will now qualify for overtime pay. The new rules will raise the salary threshold that employers must meet before they can deny overtime pay to certain workers—from $23,660 to $47,476. The old threshold was so low that even some workers living below the poverty line did not qualify for overtime. Now, all salaried workers earning less than $47,476 per year will be entitled to overtime pay for working more than 40 hours a week, regardless of their job title. This means that employers can no longer use a loophole in the law—the pretense of managerial or other specialized duties—to deny these workers overtime pay or require them to donate their labor, free of charge, in extra hours of unpaid work. In short: the new overtime rule means a higher income or more time for family and friends—a better life overall—for millions of workers. The loopholes many companies attempt to use to not pay overtime for salaried workers are the exemptions to the FLSA. The “executive,” “administrative,” and “professional” exemptions are the ones on which most companies rely. This will no longer be allowed unless the higher salary threshold is met. If you do not meet the higher salary threshold and the company is relying on one of these exemptions, you should be entitled to overtime and may have a cause of action for unpaid overtime against your employer. Effective December 1, 2016 companies will no longer be allowed to not pay overtime unless the higher threshold is met. Contact me if you are not being paid the proper overtime. 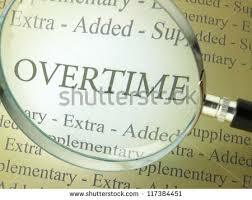 I will discuss your situation with you and make a determination if I believe you are entitled to overtime pay. 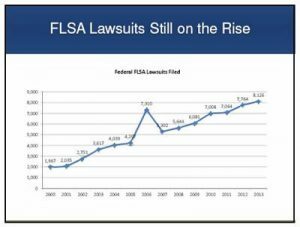 This entry was posted in FLSA on May 18, 2016 by crmilt. When you need an overtime lawyer you should select someone with experienced in the type of case you have. Some overtime lawyers have more experience than other overtime lawyers in a given type of case. In my pending and resolved cases section I list some of the types of cases I have handled. Read those excerpts and see if I have handled a case similar to your case. For a free consultation, contact me if you have any questions. This entry was posted in FLSA on May 17, 2016 by crmilt. Whether companies treat their workers as employees or independent contractors has profound implications for workers’ pay and benefits, for employers, and for public revenues. High-profile worker lawsuits against Uber and other on-demand giants seeking fair pay or workers’ compensation have recently thrust the business practice of misclassification into the national spotlight again. But for decades, many companies in transportation, janitorial, logistics, home care and domestic work, construction, tech, and other sectors have imposed take-it-or-leave-it non-employee contracts on their workers, putting them outside of the workplace protections and tax requirements that apply only to employees and employers. Under the law, however, these arrangements are permissible only when the worker is running a separate business. Unchecked, independent contractor misclassification can cause long-term damage to the economy and workers, but there are solutions. State reforms already have helped curb abuses, recouping millions of dollars, while the federal government has taken a strong stand against the practice, evident in its multi-agency task force and the U.S. Department of Labor’s July 2015 guidance clarifying that most workers are covered employees. This entry was posted in FLSA on May 13, 2016 by crmilt. Failing to do so can result in legal consequences, and may result in wage and hour lawsuits filed by employees. In less common cases, an employee may abuse work procedures and claim FLSA benefits that they aren’t entitled to. In general, most wage and hour law claims involve complaints against employers. Working “Off the Clock”: FLSA violations can arise because not all companies operate according to a strict, 40-hour work week. Many businesses and employees are under “alternative weeks” (4 day work weeks or 10 hour days, etc.). Some employers don’t include business meetings as part of the “work day”. Finally, a great number of wage and hour claims involve the withholding of wages. These claims involve an employer wrongfully withholding an employee’s payments. The reason for withholding wages must be illegal, such as discrimination, or in retaliation. If you have a wage and hour dispute, you’ll probably need to file a claim with the Wage-Hour Division of the U.S. Department of Labor first. The Wage-Hour division will conduct an investigation to determine if there are FLSA violations. If a violation is found, they may enforce penalties against the employer. Penalties may demand that employers adjust their labor policies. 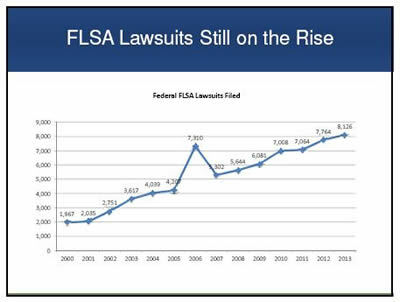 This entry was posted in FLSA on May 11, 2015 by crmilt. For instance, a common scenario is where an employer fails to pay a worker overtime wages when they are entitled to such pay. These types of disputes often result in some very specific legal remedies. 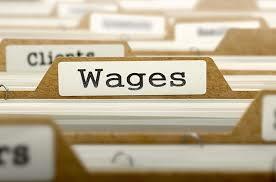 Most wage and hour claims result in a damages award that is issued from the employer to the worker. These are often sufficient to provide relief for losses caused to the employee. Generally, these damage awards cover the unpaid wages, plus other losses that may be related to the claim (such as lost profits on a deal, etc.). In addition, witness testimony may also be required (for instance, statements from co-workers regarding their own pay situation).